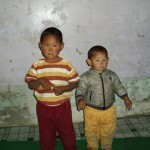 The Jamtse Sponsorship Project was founded to help support, educate and nourish Tibetan refugee children and their families living in Tibetan settlements outside of Tibet. It is our belief that the teaching of peace and love that H.H The Dalai Lama and the Tibetan people bring to the world is sorely needed, and we know that the preservation of their culture and teachings will come through the support and education of the Tibetan children. The Jamtse Sponsorship Project (JSP) came into being at an audience my wife Amy and I had with the Dalai Lama. His Holiness often says, “Kindness is my religion”, so we asked him about the Tibetan word for kindness. He told us that the word is Jamtse. In Tibetan, Jam means care and tse means love. For Tibetans, kindness is an action; one must not only love but must take care of those we love, that is kindness. We took the name Jamtse for our project to remind us that this is the essence of the practice of kindness. When we asked him how we could be the most helpful to the Tibetan cause, he suggested that there was a great need for support for children in outlying, remote areas. He spoke of the importance of our personal involvement with the children. the support they need and that they feel fully supported by us. ​Because of the success and stability of the Jamtse Project, we are expanding the scope of our work. In 2018, we will be supporting work with children in Myanmar through the Htilo Minlo Temple in Began Myanmar. This small group of volunteers provides supplies to rural schools. Many of these schools don’t have even the most basic school supplies such as pencils and paper. 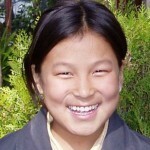 We believe, as the Dalai Lama told us, that the greatest help we can give these impoverished children is an education. We have also begun to fund a local project called the Mettowee Valley Pollinator Protection Project. 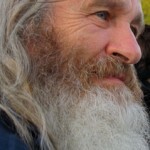 The intention of this project is to provide support to pollinators through education, habitat protection and improved apiary and farming techniques. We are providing grants to begin an educational program to help consumers understand the importance of supporting local, organic farming particularly as it applies to preservation of bee habitat. We are providing grants for equipment and supplies that will allow farmers to use methods which, rather than strain pollinator habitat, can support it. We will provide funding to educate homeowners about the importance of pollinator habitat, and to show them how they can create habitat on their property.